This product requires the base game Tyranny: Archon Edition. A Refuge from Kyros: Players will explore an all-new section of the world, centered around an illegal settlement of those who have fled the devastation of the war. What sentence will you mete out to the stragglers? Companion Quests: Learn more about the history and personality of Verse, Barik, and Lantry, in new quests and interactions to earn their loyalty or enmity. 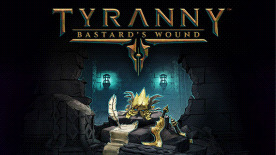 Requires Tyranny (base game) to use this DLC.